The worry is often put forward that we are going to run out of resources. That as population increases we just MUST run out of stuff. In this article I will be presenting a selection of examples of why this is not so. Please remember that this is far from a complete list. I have left out more resources and technologies than I’ve put in the article. These are just a sample sufficient to prove the thesis, the others were left out not due to lack of merit, but due to lack of space. This is sometimes accompanied by the dire predictions of exponential growth of population and the inevitability of an exponential rising of population to near infinity in very short order. Ignoring the “Four Horsemen” (famine, plague, pestilence, war – and hoping we can avoid that solution), the “running out” thesis has significant problems. Not the least of which is that natural systems do not grow exponentially, they have an S shaped growth curve. Populations slow their growth as they get larger. The first formal time this “running out – DOOM!” scenario hit The Big Time was when Thomas Malthus first made it the foundation stone of what was to become the area of study known as Economics (“home laws”, so Home Economics is literally “home home laws”… kind of silly, really.) 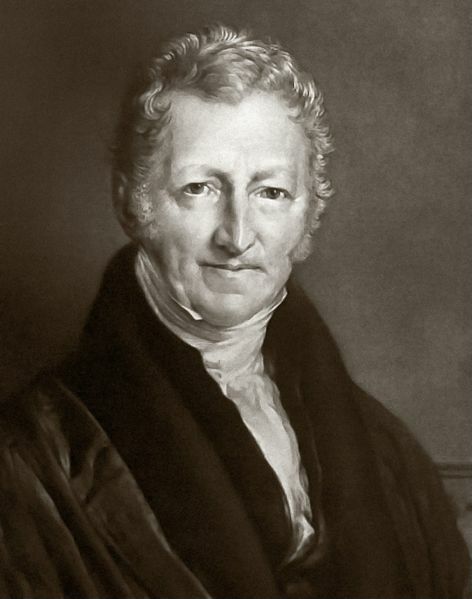 It was the work of Malthus that led to Economics being named The Dismal Science. Oddly enough, Malthus gave us the foundation of both the Tory and Whig approach to the economics of the poor and even had Karl Marx making the argument that technology would prevent a Malthusian Catastrophe! (Charity vs workhouses vs technology. Roughly the same three sides of the argument today: welfare, work-fare, economic advancement.) So against my will I find myself in agreement with Karl Marx on an economic point! Now, a couple of hundred years later, we still have not had a Malthusian collapse. But surely we are pressing up against some hard limits. Fresh water, food, fuel, land. Things get used up! I hear it in the news and on TV! Well, no. Let’s take a look, one category at a time. There are enormous quantities of fresh water on the planet. The Amazon and the Mississippi both dump truly gigantic quantities into the ocean. Ditto the Nile, the Danube, the Yellow, and all those dozens of rivers in Russia. Often some of that water has been used and reused dozens of times before it reaches the ocean. Yet it could be used again, if desired. But we find it is more convenient to let it go back into the ocean for the sun and wind to distill it into fresh rain rather than to clean it up for our use once again. These folks give it as about 40,000 cubic kilometers per year. Thats 1,000 x 1,000 x 1,000 x 1,000 x 40 cubic meters. Per year. If we divide that by a billion ( 1000 x 1000 x 1000 using the U.S. system) we get 40,000 cubic meters per 6 people on the planet per year. Or about 6,000 to 7,000 cubic meters per person per year. (Roughly the size of a football field covered with water one yard deep.) Rather a lot… especially when you consider that we can reuse the water several times before it returns to the ocean or sky. But even then, most of the fresh water was not used even once. Look at the Amazon. Substantially unused. So to the extent that there is a problem, it is more about location than quantity. We have lots of fresh water, just not where we would like to have more. We have demonstrated plenty of ability to move water long distances and to store it when we choose to. So it’s been a choice, not a shortage. Why don’t we “get on it” and move more water? Sometimes it is for political reasons. National boundaries or political movements to “protect” the environment or status quo. Sunbelt Water was going to use tankers to move water from Canada to California, but ran into political issues. It’s not a technology or geography problem. Their plan to use supertankers shows that. They could transport water to any coastline or port in the world. There are still some folks looking at reasonable, yet grand, water transfer systems. Westward Ho describes one of these. The fascinating thing about it, for me, is the imaginative “leverage” of using existing rivers, dams, and hydroelectric generators to make the system much cheaper and more practical. There are still some Engineers ready, willing, and able to Dream Big! It is not a shortage of practical ideas or imagination either. Other times it is because in many ways it is now cheaper to make clean fresh water. It is mostly about the economics of cheapest supply and NIMBY (Not In My Back Yard) politics. The Saudi Kingdom now gets 70%+ of it’s drinking water from desalinization and some is used for growing vegetables in greenhouses. (You can download an interesting pdf file about them here. They are an existence proof of the ability to run major cities on sea water. There are even folks who are combining the desalinization with the structure of the greenhouse! Desalinizer technology has recently had a leap forward with the invention of a device to recover pressure. Much energy went into pumping water to pressure on one side of the membrane only to toss that away by letting the pressure drop as the waste stream was disposed. Now we recover that energy with about 98% efficiency. Thanks to this device, it is now cheaper to make fresh water along the coast of California rather than to put a dam in the mountains and a pipeline to carry it to a city near the shore. Fresh water is unlimited, thanks to advances in desalinization. There is no shortage of fresh water. I would hope that it is fairly obvious that the bulk of the planet crust is made of rocks, stones, and other minerals and that as they weather and break down we get sand, clay, and other fine particles. These can then be made into ceramics, masonry products, bricks and glasses. We can produce all the crushed rock, marble and granite blocks, paver tiles, and similar material objects we could ever use. Similarly, this stuff (rock) weathers into smaller bits that make vast deposits of sands, silts, and clays (see the Sahara Desert for sand…) From these we can make glasses, ceramics, bricks. Etc. One special case is limestone. It is used to make cement. We use lots of cement in the modern world to make everything from roads and bridges to major buildings, dams, aqueducts, stadiums… you name it. It’s even been used to make concrete rail road ties in place of wooden ones. Even though concrete is a 3 – 2 – 1 (roughly) mix of gravel, sand, and cement, could we run out of that 1/6 th that is cement? Nope. About 10% of the sedimentary rocks on the planet are limestone, yet more is formed each year from the ocean. There is more than could ever be used, and once eroded away, it would eventually be reformed in the ocean. And while we presently use coal to provide the thermal energy to turn limestone into cement, we could easily use other energy sources. There is no shortage of rock, stone, clay for bricks, etc. There is more limestone for cement making that could ever be used, and more formed every day in the oceans. All over the planet there are deposits of iron rich rocks, laid down millions of years ago when life first formed and the oxygen it gave off combined with some of the iron that makes up the bulk of our planet. These are called Banded Iron Deposits. How much? About 230 BILLION tons of iron in 800 Billion tons of ore, per these folks. So I make that as somewhere over 100 tons of iron ore with about 40 tons of iron in it per person on the planet. I don’t think I could imagine what to do to use up my 40 tons if I tried, and iron / steel is the most effectively recycled material on the planet, so it doesn’t “go away” much once mined… But if we ever did run low, there is more in the Manganese nodules on the ocean floor, as we will see below. The banded iron formations of the planet are hugh and iron is an incredibly high proportion of the planet. So there is no limit on glass, stone, masonry, brick, ceramic, steel & iron structures, glass. What’s left? Other metals? Copper is often expensive and somewhat scarce when the business cycle booms. Are we running out of Copper? The same Minerals Institute folks put land copper at 1.6 Billion tons. That’s only about 1/4 ton per person. Somehow I still don’t feel deprived. But each year more things that were made from copper are made from plastic, aluminum, or other materials. And copper is highly recycled. But there is the question of what to do if you need more than a few hundred pounds per person. My suspicion is that something similar is in the works for carbon based fuels and the “international community” interest in “Cap and Trade”… but I digress. That’s about another ton per person of copper. But it also ignores the fact that more nodules are forming all the time, so eventually there would be even more deposited. The true upper bound is limited by erosion from the earth’s crust and the quantity dissolved in the oceans. However much it is, it’s vastly more than we need. So there is no shortage of METALS and there never will be. But what if we run low on things to build with like timber? What if we don’t run out, but just can’t extract enough per year to build what we want? Everything can be a resource. It just takes a bit of imagination. We run out of stuff when we run out of planet and ideas. There are several companies that have developed engineered building materials made from straw composites. They have names like “strawboard” and “goldenboard”. We burn, plough under, feed to animals, or just leave in the field to rot millions and millions of tons of this stuff every year. If we made it all into building materials, the whole country would be built over with structures in just a few years (think single digit to low double digit.) We will never run out of construction panels, plyboard, or ‘timbers’. The biggest issue these products face is that their raw material is harvested for only part of the year, where trees are harvested year round. So the companies are not very profitable (yet) and have trouble competing with cheap plentiful wood because the factories only run part of the year and it is not economical to store straw the rest of the year. That, btw, is an example of the usual kinds of trap the Malthusian approach falls into. It assumes that a lack of economically available substitute product today means no substitute exists (shortage! running out!) when it usually just means the original is still so dirt cheap that the alternatives can’t price compete effectively. The Malthusians also assume that a ‘tight market’ somehow means “shortage” when it usually is no such thing; it’s just a production rate limit at peak demand. In many ways, growing plastics and “petro”chemicals is a return to the past. Henry Ford used a soy based plastic for parts of his early cars. The plastic was invented by George Washington Carver – an amazing genius with plants and bio/organic chemistry; who also made plastics and chemicals from peanuts and other plants. Your “viscous sponge” at the kitchen sink is an example. It is made in a method closely tied to cellophane and rayon. Even chemicals like butanol, ethanol, and acetone are made from biological sources using bacteria. This creativity is still with us with the recent invention of fabrics made from Beech trees. For example, RenTech uses coal or trash or any biomass to make fuels like Diesel and chemicals. There are many other companies doing similar things. Most any chemical company knows how to do this kind of thing. How about energy and fossil fuels? But surely we’re running out of fossil fuels! So we would need to use non-fossil fuel energy to make the replacements in the future. Not exactly a problem. It’s a well established technology that works and is in use today powering several countries. It’s just not a problem. The simple fact is that as long as you have energy, you can get all the other resources you need or want at reasonable costs. What about food and land? But clearly we have a fixed amount of Land! Arable land is the present use, not a limit on what can be used. So we have roughly 11.61% of the land used for crops. There is a lot still available… There are several agronomy systems for upgrading marginal land into productive arable land. Add in the fact that several algae grow systems can be put on any kind of land (closed industrial systems) and there really is no food vs fuel issue. Anyone who wants to see how greenhouses can do this needs only to visit Disney World. They have a working (Gigantic!) hydroponic greenhouse in The Land exhibit in Epcot center. Take the “Behind the Seeds” tour. This is a working facility and the food produced (including the fish!) are served in the park restaurants. They grow food plants of all sorts in sand and air – hydroponics and aeroponics; and they grow fish and alligators in aquaculture tanks. The politicians and lobbyists can continue to have alligator shoes for generations to come… They even have a very large palm tree! Similar tech is in use today around the world (including Saudi Arabia who have lots of sand and not so much arable land… 1.67% per the CIA ). So just how big was the Sahara again? And how much water is in the Atlantic? But maybe someday we could fill up the surface? Think vertical. We can make more surface area for living (or for pigs and chickens or even for lettuce plantations) by making high rises. We can put 100 times as much on one area of land with a 100 story building. That is why we have 100 story buildings… But do we have to? Everyone on the planet could live at the same density of London in roughly 6 patches about the size of the UK with the rest of the planet being completely empty of people. Last time I looked London was an OK lifestyle… and even six patches the size of the U.K. would disappear in the vastness of the world. (Heck, I think I could fit everyone into the space taken by Texas and maybe Oklahoma at the same density!) But what if you don’t like the view in West Texas? Want an ocean view? Last time I did the calculation, everyone could have an ocean view condo with no structure higher than about 4 to 6 stories (though it’s a bit hard to figure out due to the coastline being fractal and of indeterminant length) using ONLY the North American continent and with no structure more than a hundred feet deep. (i.e. a single building facing the ocean with no buildings behind it…) The rest of the world, again, being empty of people. The simple fact is that we have a planet that is mostly empty and we choose to live together in places like New York, London, Tokyo, Paris, and Buenos Aires because we like that life style; not because we are running out of land. And we choose to grow crops in a way that makes the most profit with the least capital stock and labor, not the maximum product per acre. It’s a choice, not a limit. There is no shortage of land. Food shortages have nothing to do with production, they have everything to do with politics, wars, religion, and economic access. The simple fact is that the “running out” thesis is broken. We aren’t. We can’t. We won’t. It comes from folks being scared by exponential functions (and The Club Of Rome promoting the scare stories due to their misguided paranoia, IMHO of course). Sidebar on Club of Rome: The nature of their errors can be seen in this quote about them. And I haven’t even pointed out that what is a resource changes over time. Few of us are stressed about the shortage of whale oil, nor the pending decline in good flint for making tools. Yet both of those were critical resources at one time in the human past, with real issues due to “shortages”. (The last gasp for whale oil was in the ’70s when it was found that jojoba oil could replace it in specialized lubricants. We now farm jojoba in the desert…) In the ’70s it took about one ounce of Platinum to make a catalytic converter for automobile smog reduction. Now it’s fractions of an ounce and it isn’t even platinum. (Paladium, nickel, and other catalysts have been developed including some ceramics.) We constantly find new techniques to use the existing materials in new and different ways. That is the ultimate “trump card” in the whole “running out of resources” debate. IFF we ever run low on something, we find something else that can replace it. This was the major fault in The Limits to Growth (a book promoted by the Club of Rome). Computer model projections was the second major fault. 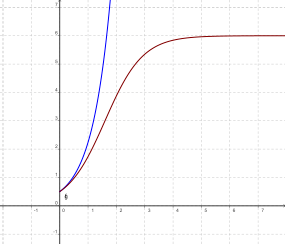 Projecting an exponential instead of an “S” curve is still broken, even if done by a computer. That is where, IMHO, folks ought to concentrate their preservation efforts. We can grow tree farms of fast species and drastically reduce the pressure on forests. We don’t do it enough, but we could. 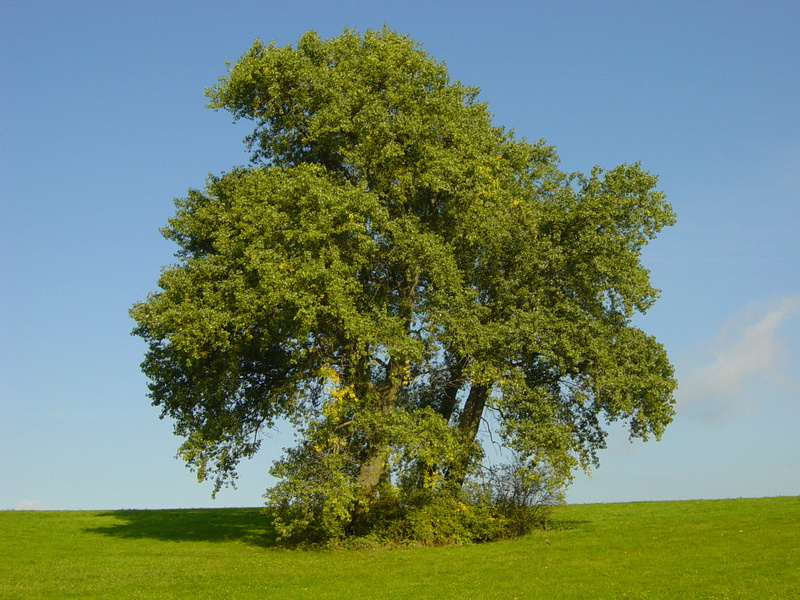 Some high yield Poplar and Eucalyptus species run 25 to 50 TONS per acre per year. Quite a lot per person … So no “shortage” of wood or fiber, but a need to focus on more intensive tree farming. The pulp and paper industry has already headed down the path of intensive tree farming, so it is happening. It is now cheaper than cutting a wild forest. The danger comes in the transition. From too poor and technologically unable to damage to ecosystem but very hungry; to empowered with the tools of destruction but not yet realizing that you don’t need to destroy the forest to survive any more. That is when you get “the march of the chain saws”… So we need to get folks through that transition as fast as possible. Once they reach affluence, they want to preserve the forest, not fight it. But keep them in mud hut villages on the edge of starvation? The forest is cut for fuel and the Tiger is the enemy out to kill them, so they kill the Tiger first. With energy, you can make all the steel and cement you want. There is more limestone than could ever be “consumed”; and that used for cement can be recycled back into new cement anyway. The planet is mostly iron. We never can run out. The other big critical need is copper. It is at the heart of an electric society. 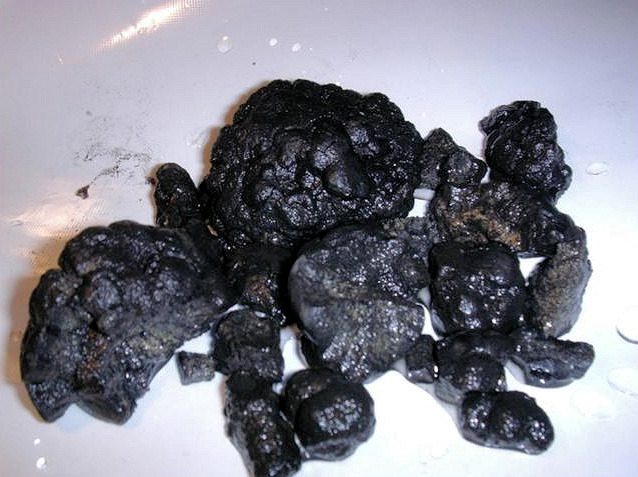 There are more tons of it on the ocean floor in manganese nodules than we could ever use. With concrete, steel, and copper; you can build cities and cars. Add in “petro” chemicals that are unlimited thanks to algae and trash conversion; and you see where this is headed. A little sand and then glass is unlimited too. Build your city of glass and steel skyscrapers! So we don’t need to fight wars over “stuff”, and nobody needs to break their back trying to fight for a living with a hostile forest or desert. We can build all the high rise cities needed to house 20 billion people and not begin to put a dent in the world. Steel, concrete, copper, glass, plastics, rubber, (and aluminum and magnesium and…). With desalinization we save the river environment from destruction with dams. With aquaculture we save the oceans. With greenhouses we save the open lands. With intensive tree farms we save the forests. In the end, the path to saving the planet passes directly through modernity and the technological urban society. (As much as I love the semi-rural life and personally do not like city life; most people like it, and it is the solution.) It is the notion that we need to not use technical solutions, and that we need to go back to the land in rural villages, that is broken. Down that path lies the destruction of nature. This life is not a dress rehearsal, take big bites, and do not ever let anyone tell you that there is not enough stuff for everyone on the planet to live a full, happy, and wealthy life. Just go make it happen. This entry was posted in Earth Sciences, Favorites, Science Bits, World Economics and tagged economics, Global Warming, investing. Bookmark the permalink. However, I think that the scaremongers know we’re not really running out. They’re either trying to get people to change, consume less, be more responsible; or, as some have stated on the record, they want the de-industrialization of “the west”. They see people as a plague on the planet (except themselves, of course). Whether or not Wind, Solar, etc are viable alternatives is irrelevant, they’ll pass or fail on their own merits (and with gov’t subsidies, of course). But I find it odd that some green groups even fight against these “clean” energy sources. I fear you are correct for much of the ‘leadership’ rank, including the Club of Rome folks. The fact that they become grumpy when presented with solutions tells me that it’s not about wanting solutions, it’s about wanting the problems. Excellent post, E.M. It is a sad commentary on our education system that such information is not commonly known. My granddad knew all of this, and he was a simple farmer. I learned all of this in school, too, when we learned physical science. Nothing leaves the earth, ever. (That was during the 60’s and we had not yet sent out Voyager). Today, though, I shake my head. As you and some of your readers know, I attend chemical engineer society meetings, and there encounter some young engineers who fully believe that the earth is running out of ‘stuff.’ Especially oil, and copper, and iron, and other minerals. I set them straight, but it is obvious they do not believe me. They are comparing what I tell them (a guy with no credentials, just a BS in chemical engineering) to what their professors told them recently ( a group with PhD after their names), and go with the PhDs. Yes, E.M. Smith, let’s “just go make it happen”. Reasonable prosperity is possible for everyone on Earth. And once “the pursuit of happiness” becomes a reality, the birth rate would begin to decline to a “reasonable rate” because people have choices. I must admit that once I was taken in by President Jimmy Carter’s scarcity ideas — and even taught about them. But I became older and wiser and paid attention to the science of the issues. It will take a concerted effort for those today who know about these realities and possibilities to work their (our) hardest to educate those who remain ignorant. I very much appreciate your efforts to put the ideas of abundance together with the awareness of Earth’s resources that we must treasure or we truly will be impoverished. I will be sending and giving your essay to a large number of people. Thank you. I think it’s more the latter than the former. Especially considering some of the quotes of needing to “exaggerate” the reality in order to reach the goal. Roger, I added a link to your Westward Ho project description. It keeps sticking in my mind as one of those “Well Duh – why didn’t I think of that!” ideas. Pyromancer76, if this posting raises just one person from the Doom Running Out! pit, I am justly rewarded. One of the “left out” things (that I’ll put in some posting some day!) is the critical role played by women in the march of the world to modernity. It is when women get an education that birth rates drop (want to end overpopulation? Give every woman a college education!). It is when women are freed from the drudgery of fetching water and fuel wood that they set up bakeries, soap making, laundry services, goat breeding operations, and a thousand other micro businesses and the path to wealth begins. This isn’t a hypothetical. It has been shown repeatedly in the 3rd world with everything from micro-loans to bioDiesel generators to village water systems. Free the women from “scut work” and prosperity follows. Unfortunately, at least from my perspective as a male person, the role of men is far smaller in the march to modernity. In many cases they slow it down by fighting between themselves and / or oppression of women (as in the tendency to forbid women to work or to confiscate their earnings such as seen in some traditional Muslim lands and other traditional cultures.) I don’t say this from any PC point of view. It is a simple observation of what happens. It may be innate. My Free Range Bunnies have the same division of labor. The girl bunnies dig tunnels and build the home. Male bunnies fight with each other and bother the girls. While I would hope we were more advanced than rabbits, everything I’ve seen casts some doubt on that theory! You are so right that there are big thinkers among us. I recently ran across a site that proposes huge windmills to generate power, located on the Aleutian Islands. The power generated would be transmitted to the Lower 48 via a superconducting, buried cable across Alaska and Canada. There is enough power in the wind in those islands to fully power the USA forever. I was impressed at the scale of that one. Another one (I will admit this is mine only if nobody laughs) is to pipe water from the head of the Gulf of California north toward the Salton Sea, and generate hydroelectric power as the water flows 220 feet downhill. Solar-powered desalination plants near the Salton Sea would separate the sea water into fresh water and salt. The salt would be trucked away, or removed more efficiently via trains. If properly engineered, the Salton Sea’s level would not change. This project produces serious amounts of fresh water, and reliable, on-demand electric power. This international project would likely share the power and fresh water between the USA and Mexico, thus, everyone wins. (and lawsuits are minimized). It would also help to keep the oceans from rising due to AGW and all that CO2 in the atmosphere. *grin* We will just drain the ocean a bit, and evaporate the drainage. This makes me want to start my own blog on this site just to post things just like these. I believe people are lazy and would rather say they are going to run out so they can charge higher prices and artificially limit demand so that way they can continue business as usual. The oil speculators are just there to allow for an artificial choke chain by creaming “we are going to run out ZOMG!” and then institute a delay to allow the consumer to suffer and profits to rise. Untill, say for example oil companies(in cohort with speculators), build a new plant that wasn’t really even needed untill later on and then say that plant was the reason that supply increased not the fact that they called off the oil speculators to make it seem like we have more oil and gas when the supply probably did not fluctuate as quickly or in as a large of a percentage as the actual price of the end product. It’s all just one big smoke and mirror magic show! If you dont believe me why are so many of the energy companies at the top the fortune 500 list including shell which is number 1. It obviously wasent that hard to buy oil and refine it or the profits wouldn’t be that good meaning there was no shortage. I found this interesting article about oil. wondered if you’ve seen it. Also, thank you for your posings. Extremely infomative. Pingback: dads & things » Blog Archive » Is the world overpopulated? Recycle your breadcrumbs! Save the wheat! Leaves me wondering why anyone would be in a panic about ‘running out’ as demand for things, energy, and food will all be dropping in those areas. What’s left? India? @Brian H: Don´t you worry the ALGAE will make it! LOL!!!!!!!!!!!!!! The “fall-back” stuff-panic is the linear extrapolation of Western consumption patterns to the 3rd world masses, etc. The Neo-M Limiteers can always find some brick wall to conjure up directly in front of the world economy. Damn world keeps swerving to miss them so far, is all! Have you looked at overpopulationisamyth.com ? The Low Band of the UN Population Database, whose lower edge has always been right, has population peaking at <8bn by ~2035. Then falling. * The implication of the fpri report is that it may even happen sooner. *A previous more detailed breakout gave the lower edge of the lower band, which said <8bn by 2030. But even the center of the low band is 8.02 by 2040. ALL biological systems have S shaped growth curves, not exponential. The “running out” scare has been bogus from the beginning based just on that… Heck, and we haven’t even had any decent sized wars or plagues or famines yet…. and we’re already dropping in most ‘advanced’ countries…. But no, I’d not seen that report. True, but the reason (at least in the past) why biological systems did the S curve, is that some limiting factor always kicked in, whether it was resources or simple room to expand. I know, it is very dangerous to look at a long series of events and to then say, “But this time is different!”, but nonetheless, maybe this time really is different. You are right, there is no shortage of stuff, and shortage of room is still a long way off, as well. Our technology has finally reached the point where we can say that — especially if we humans expand into space and harvest asteroids. And yet, every indication is that we, the West, really have not only slowed our growth, but are actually not even replacing ourselves. Why is this? It is not from lack of stuff, the traditional limiter of growth. Why is this? Perhaps our culture — for better or worse — has crossed some line, the line between physically based civilization and meme based civilization. Our western culture is no longer so much a place, an area, or even a people. We are no longer “stuff” based. The West is now an idea, or rather a complex of ideas, all intertwined and self supporting. Perhaps we have become so memetically intertwined that we have strangled ourselves. Perhaps the problem is not the we have run out of things, out of stuff, but that we have run out of ideas. Why a low birth rate? In poor and primitive societies there isn’t much else to do. Folks don’t have a lot of contraception and having a family often brings stature (and / or a group protective advantage). Old folks typically are cared for only by their own kids. No kids, you die. In “advanced” societies we have a whole lot more things to do that make us feel “valuable”. Status can come from being an M.D. or performing on stage. Taking time off from all that to raise kids is a lot of bother and costs. Old folks are typically taken care of by ‘the society at large’, so why spend on that time and money raising kids (that could have been spent on much more interesting things) for them to just be taxed to take car of Other People? It really is that simple. Raise the education level of women, they have more interesting choices than changing diapers. Add old age care, and the ‘freeloader’ advantage moves to the ones with fewer children…. There are a lot of reformulations of Ockham’s Razor, one of them being “Keep explanations as simple as possible — but no simpler.” Maybe it is a case of too much imagination on my part, but I just keep thinking that there is more to it than simply increased education for women and Social Security. This is not to discount what you say; far from it, I agree that those are very real factors. As for decreased male fertility, that seems to be a real factor also, but not tied to education. http://www.sciencedaily.com/releases/2010/11/101128194013.htm What’s with that?! Chiefio, I think you are very much right that increased education and SS, etc., promote falling birth rate — but I just have this creepy-back-of-the-neck feeling that there is more to it. I wonder if there is a case to be made that what we are seeing is not eugenics but rather disgenics in action. I hope I am wrong. The fpri report’s mention that in many cultures having a male child is preferred 10:1 over females suggests another plausible “cause” of global fertility collapse: having children is not “esteemed” in the affected cultures the way it has been throughout history. Status and cultural norms may be even more potent than economics. Russians have been heard to state they don’t want to inflict their current reality on children. That may be a factor in some cases, too.